3DigiPrints Blog: 3D Artists Can Influence More Than You! 3D Artists Can Influence More Than You! Through 3D printing, 3D developers get the great opportunity to see their design come into reality. The use of 3D printing technology enables artists to create solid figurines out of their designs. If such, then the artists can actually hold their designs. But how does it works? There are few 3D printing services that print 3D models for artists. These services provide 3D models created as per the provided designs and also ship it to you. How these services print 3D models ? The technology which is used to create 3D models is known as 3D printing technology or additive manufacturing. 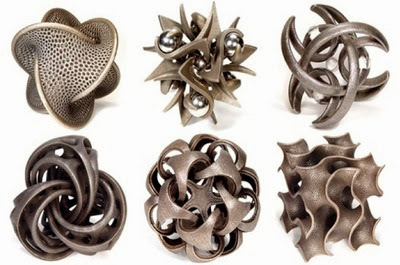 This process of 3D printing can create virtually anything from any design. When the model arrives at the 3D model manufacturing facility, 3D printers are used to manufacture the physical product. This product is created layer by layer. 3D printers use various kinds of material to create a solid outcome. There are a large variety of materials to choose from. This variety includes plastics, metals, rubber like materials, ceramics, mechanically strong materials and more. 3D printers lay down the layers of the material and combine this material by forming layers together on top of each other. With the help of such kind of 3D printing services, artists get an amazing opportunity to influence their customers at a great extent. Also there are many online 3D printing solutions that help you to attain 3D printing services online. In this regards, the artists can post design online across such services, and customer can buy them to be 3D printed. In such a way, an artist can influence his customers well with the help of 3D printing services. Among the crowd of 3D printing services, 3Digi Prints is one of the top 3D printing solution that offers the highest quality and advanced level 3D printers and 3D printing services in India.